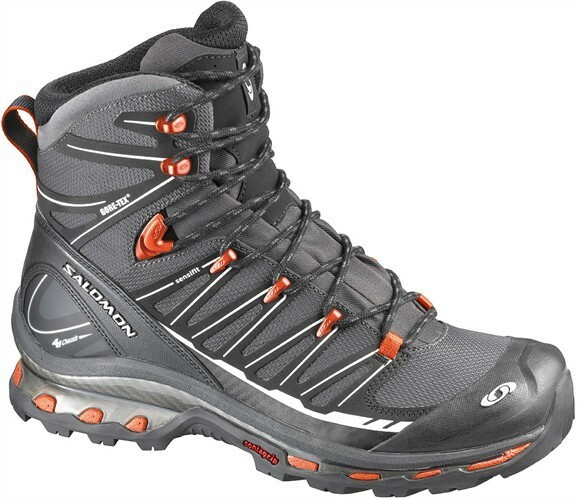 This shoe is ideal for multi-day hiking tours. The upper is made ? ?of seamless Sensifit and made ? ?of a waterproof material. The stem is cut up, so more support, stability and protection is provided. The tongue and the upper are joined together, can help prevent stones. The inner material is a wear-resistant and rapidly trochnendes material which is equipped with excellent breathability. The Gore-Tex ® material ensures your feet stay dry both from without and from within. The footbed is made of special foam and an EVA heel cup. This is especially popular for cushioning, cooling, dry feet, durability, strength and a healthy climate in the shoe. This outsole provides a balanced combination of special types of rubber and therefore offers optimum adhesion to various kinds of tracks.